Letter from The Buyers Reference Co.
Letter regarding Dr. Robert Grimshaw relocating to Dresden, Germany, who could serve as intermediary to European railway product manufacturers. 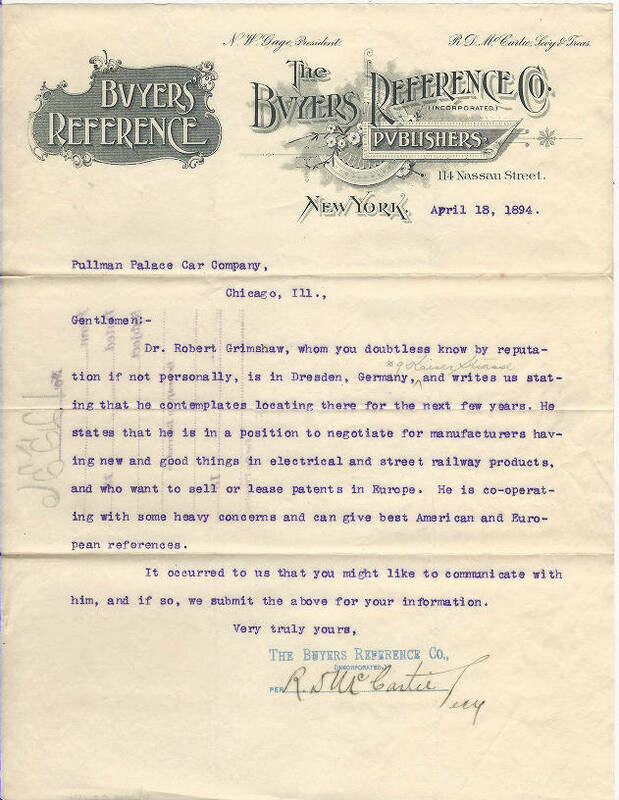 Title Letter from The Buyers Reference Co. Description Letter regarding Dr. Robert Grimshaw relocating to Dresden, Germany, who could serve as intermediary to European railway product manufacturers.